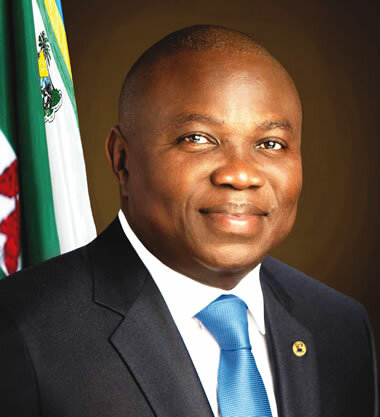 Lagos State Governor, Mr. Akinwunmi Ambode, has successfully delivered Epe Local Government to the All Progressives Congress presidential candidate, Muhammadu Buhari and the party’s candidates for the National Assembly. In the final results collated and announced by the Independent National Electoral Commission, on Sunday the APC polled 17,710 votes across the 19 wards in the local government, while the PDP got 13, 305 votes. The breakdown shows that the APC showed its strength, winning in 17 of the 19 wards in Epe local government. Ambode successful won his Polling Unit 033, Ogunmodede College in Ajaganabe Area, Ward A5, Epe, where APC polled 131 votes as against PDP who got 116 votes in the presidential election. It was also victory songs for the APC in the Senate and House of Representatives elections, as the APC candidate for the House of Representatives, Hon Wale Raji will be returning to the Green Chambers, as he polled a total of 18,326 votes to beat the PDP candidate, Oye Ayantuga, who got a total of 13,250 votes. The result also showed that the APC Senatorial candidate, Bayo Oshinowo scored 18,728 votes to defeat the PDP candidate, Abiodun Oyefusi who polled 13,134 votes.